I'm up early today. Why? It's FREE COMIC BOOK DAY! And living in the first country on earth to see the light of the new day, time's a-waistin'! 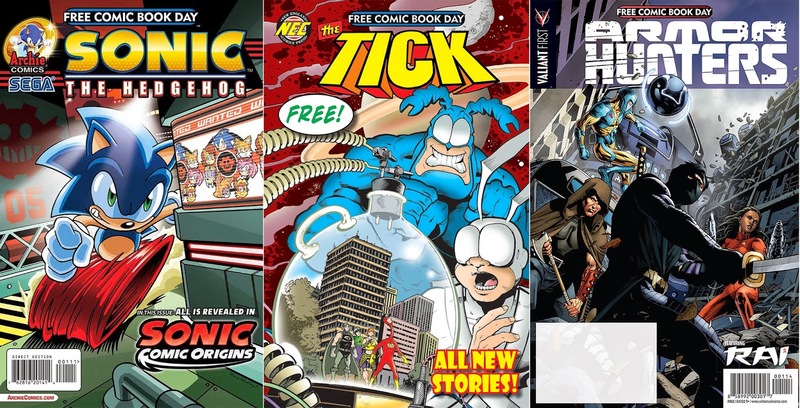 Not only are the entire line of Free Comic Book Day titles going to be at my LCS, they've been in the game twenty-five years, and as a result are taking 25% off everything! Look out wallet, you're about to go a few rounds with the Hulk, E-Honda and maybe Prime! Just promise me one thing folks, when you make it to a FCBD Event and get to grab your freebies, please don't stick to just Marvel and DC. Pepsi and Coke are awesome, but cola's really just one flavour in the end. 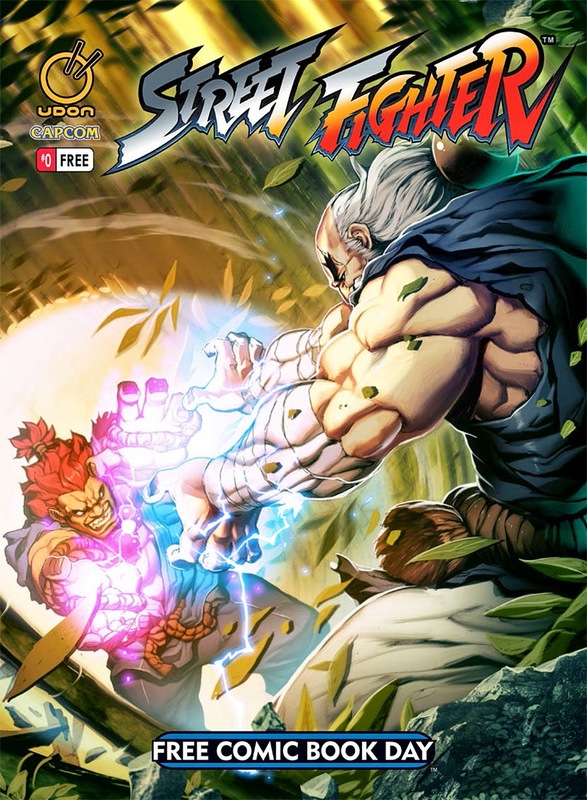 Sure grab a copy of Teen Titans GO!, but try another publisher alongside - there are so many awesome, fun reads on the cards this year, it's a great time to step to the left and see a few other publishers casting their own shadow. yikes, even for free the collection of books to pick from is pretty . . . unimpressive. Better than last year's Shlomo, better than last year. I picked p some stuff for my sister and nephew, and grabbed the Dark Horse Comics Presents one and the Valiant Universe Handbook for myself. Ahhh, those old handbooks take me back. I agree with Dale, this years line up was great. I got Walking Dead, Street Fighter and Armor Hunters. The poster inside was awesome. I'm glad the core icons took a back seat and while my LCS divided the tables up due to age, every table was swarming.